In the past couple of days, my blog post 12 Reasons Why Being a Male Pastor is Better, has gone viral. It has been viewed 40,000 times. I think it must have struck a chord with many people. The comments have been overwhelmingly positive. They have been humbling too. I thought that my wife and I were just sitting down to spit-ball a satirical list of reasons pastoring is easier for me than for her, at times, simply because I am man and she is a woman. What we didn’t expect was so many who would find affirmation in our ideas. Affirmation of their experience and affirmation of their call to ministry. I am floored by what has been shared. I followed 12 reasons with ‘10 More Reasons Why Being a Male Pastor is Better‘, and I know there could be hundreds of points to add (so keeping adding in the comments)! Even so, reason 10 from the second post has been on my mind. It has been on my mind as I read articles by important writers and theological thinkers, most of whom come from denominations that don’t allow women to be pastors. Writers who are all women. Writers who are put down because they are women (see links to a few at the bottom of this post). Last night, Courtenay and I saw 12 Years a Slave. 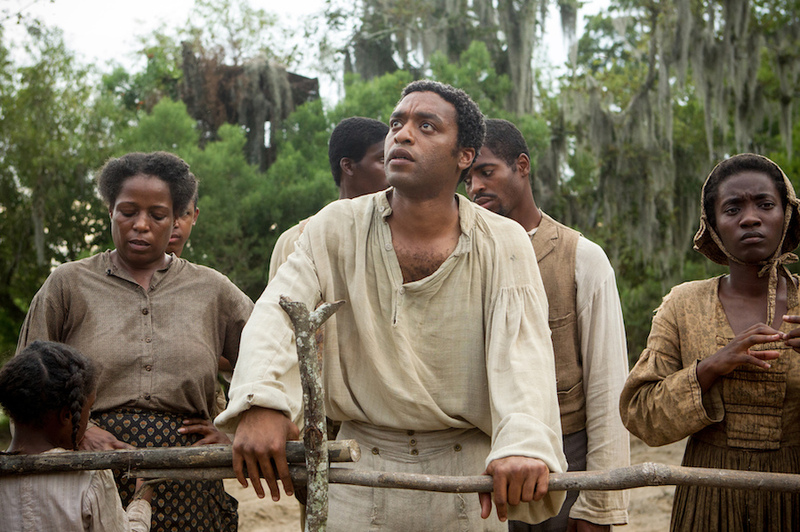 It is a powerful movie, set in the 1850s, about a free African American man, the real Solomon Northup, who is kidnapped and sold into slavery. I won’t give away any more plot, but there were some vivid scenes that made me think of the issue of gender equality in the church. “Many stripes” he repeats, warning the slaves, human beings that he considers to be his property. “This is scripture!”, he declares, as if it cannot be contradicted and that beatings are God’s will. It is a powerful symbol. It is a familiar symbol. White men, telling ‘others’ that they are less than human. White men declaring that God has different plans for these ‘others’ than the privileges that God grants to white males. And yet, most Christians now agree that slavery is wrong. Owning another human being is sinful to us now. We have agreed, even though Jesus said it is okay to beat and whip a disobedient slave, that slavery is wrong. We say slavery is wrong because verses like Galatians 3:28 take precedence, “There is neither slave, nor free”. Yet, when it is suggested that Paul’s or 1st Timothy’s instructions might not fit with a theology that should take precedence, like Galatians 3:28 “There is no male, nor female”. Accusations of picking and choosing, of contradicting God’s word, rain down. We can agree on slavery, we can see that it is not the primary theology of the Bible or Jesus. We know that we can still uphold the Bible as authoritative, we can still believe in Jesus and take God seriously. But we can also not take Jesus’ own words about slavery as gospel. We can make this step. So, why is that so many Christians are having such trouble doing the same when it comes to the role of women in the church? It is the same reason that the slave owner reads the Bible to his salves AND his wife every Sunday. It is the same when white, male pastors stand in front of congregations, write books, hold conferences, and pontificate on social media about the role of women – they are trying to keep the slaves AND the women in their place so that they can hold onto power and control. And this effort to hold onto power and control is why women can’t be pastors in some churches. It is why women pastors are treated like second class citizens, 3/5 of a pastor, in other denominations, including my own. It is why we can come up with dozens of points of male privilege in the church. It is why when, complementarians, or others who would relegate women to roles of subservience and submission, speak of ‘Biblical Womanhood’, they rarely mention that ‘biblical’ women were owned by their ‘biblical’ husbands. That sounds too much like slavery, which we don’t do anymore. There was another scene in 12 years a slave that deeply moved me. After a slave died while picking cotton, he was buried in the cemetery full of unmarked graves. As the rest of the slaves gather to mourn, an old woman, presumably the matriarch, begins singing a gospel song – Roll Jordan Roll. This black woman begins preaching – in song – to her community. She preaches to her marginalized, oppressed and suffering community. It is a complete contrast in power. She is surround by her community, she is not preaching down to them. She leads them in song together, she doesn’t tell them what to think. Her words are beautiful music, not words that strike their hearers like a whip. She is the opposite of the white male slave owner. This is not a co-incidence of images. This is the juxtaposition of a power imbalance. As the community sings, the main character, Solomon, is standing there looking totally lost, totally broken, totally hopeless. With nothing left, the only thing he can do is sing. And you can see the hope beginning to well up inside of him. It doesn’t replace his brokenness, but the hope comes along side it. He sings with his community, and finds some hope in these words of faith. The same faith that is used to condemn him to slavery. Those songs of faith, they began the fight for freedom. The same faith that condemned the slaves, is the faith that compelled them to work for freedom. It the same for us now. The faith that is used to condemn women to subservience and subordination, is the faith that compels us to fight for equality. It is the same Christ who said, “shall be beaten with many stripes” and the same Bible that says, “Let women keep silent in church” that compels us with “There is neither Jew nor Gentile, neither slave nor free, nor is there male and female, for you are all one in Christ Jesus.” It is not a co-incidence that Paul put slaves, gentiles and women all in the same list. While the white men are working harder than ever to push women, and any ‘other’ down, the end of white male privilege is in sight. Change is on the horizon. The songs are compelling us to sing. The oppressed people are speaking out. Equality is only a matter of ‘when’. Rachel Held Evans – On Being Divisive… because she spoke about against a sexist christian “Leadership” conference with over 100 speakers, but only 4 women. April Fiet – When God Calls a Complemntarian Woman into Ministry… because she followed God’s call, even when her theology said it was not possible. Sara Bessey – In which I am still hopeful because… she wrote a book about called Jesus Feminist! Kate Wallace at the Junia Project – The Incomplete Gospel of Biblical Womanhood … because she and they are advocating for equality in the church.